Podcast: What Can You Learn From Your Family Tree? Genealogy, or the searching out of one’s ancestors, has recently become popularized by television shows and internet websites. 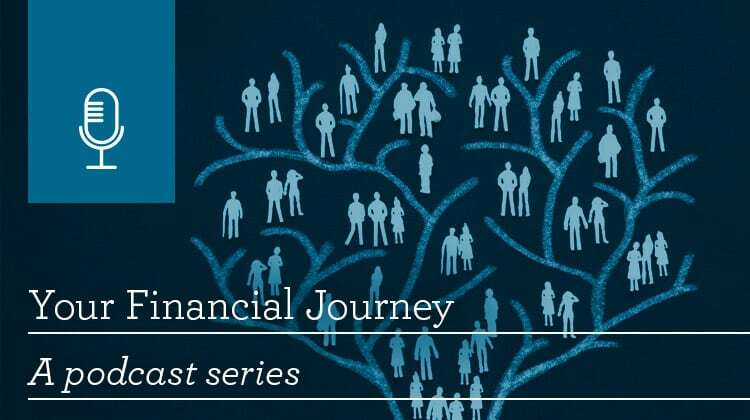 Families of wealth are beginning to learn more about their family roots. 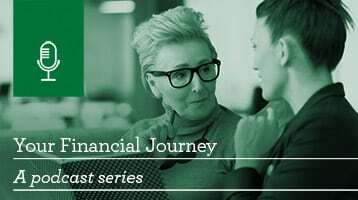 So why does family history matter within the context of wealth management and planning for future generations? 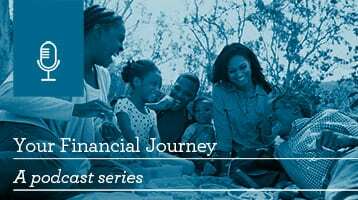 I’m Dave Specht, the Family Dynamics National Development Manager for Wells Fargo Private Bank, and I’ll be your host for “Your Financial Journey,” a podcast series that explores questions families of wealth commonly face. Today I’m joined by Andy Anderson, Chief Historian of Wells Fargo & Company and Director of Wells Fargo Family and Business History Center. Andy, how does helping to connect with your past help plan for your future? Well, Dave, thanks for asking. I’ve been waiting to answer this question for a long time. First, creating links to the past and sharing these links with your children can help substitute any sense of entitlement they may have with gratitude. Secondly, it can inspire appreciation for the struggles, the sacrifices, and the journeys their ancestors undertook to create the lifestyle they probably now enjoy. There’s nothing more important than understanding how hard it was for previous generations to give you what you currently have. And there’s no better way to plan for the future than to reflect on the challenges and responses, the successes and the failures, the defining moments, and probably most importantly, the values that have sustained your family for generations. Absolutely. For families that want to learn more about their own family history, what are some tips that you would give them, Andy, to get them started? Well, Dave, in the past decade, with the ever-increasing digitization of historical records in archives and libraries around the world, you can do family heritage projects in a fraction of the time it used to take no matter who you are or where you’re from. With all of the resources available you have a number of ways to learn about your family history. First of all, I like to suggest that you talk to other family members. 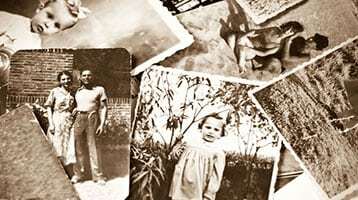 Ask them to recall names, dates, places, and “great moments” in the family’s history. Find out if they’ve got any documents, photos, or artifacts that have been handed down and can be brought back together and shared within the family. Second, create a family tree of at least three generations back from yourself. This alone will give you eight different family stories that funnel down to become your story. There are many family tree forms that are now available online. And third, search the large online databases to find already existing documents and stories about your ancestors. Some of them, such as Ancestry.com, make billions of records available from places like the National Archives of the United States, Library of Congress, your state archives. These are the largest repositories of records and books in the world—take advantage of them. Andy, our family’s taken advantage of some of the recommendations you’ve given. And one of my mom’s greatest treasures is an interview, a video interview she did of her great grandmother. And it’s absolutely been a treasure for our family. Those are a few simple but great ways to get started, Andy. Are there any other resources you can provide? Dave, I think one of most critical and powerful parts of family history is to find out how, when, and why your ancestors came to America. And almost inenvitably, it’ll be out of moments of tragedy and catastrophe, but great perseverance in terms of overcoming, be it persecution, be it economic deprivation. There’s so many different reasons that propel people to come to America. And many of their travel manifests, how they got here on rickety wooden ships and otherwise, are housed in the national archives and are now available through sites like Ellis Island Foundation (libertyellisfoundation.org) and some other online sites as well. I’ve also summed up how I do this kind of research in a document called How to Find Your Family History, Cultural Roots, and DNA Ancestry. All you need to do is ask your Wells Fargo relationship manager for a copy. So this work sounds fairly approachable. Any final thoughts on the importance of doing your family history? Dave, based on 15 years of working with families, particularly families of wealth, I have found that the rising generations in these families, the more that you can encourage them, entice them to participate in the discovery and preservation process and then in the telling or retelling of their family stories, it becomes almost magical in the effect it can have in galvanizing them to plan for their futures. Learning your family history and most importantly sharing it with others might be one of the most important things you ever do in creating the kind of future you want for your children and your grandchildren. So in looking into our past, that’s a great way to find out who we are, but it’s also a great starting place for looking into our future. Andy, thanks for sharing your wisdom today, and thank you to our listeners for joining this podcast. To learn more about the Family and Business History Center or Family Dynamics offering, contact your Wells Fargo Private Bank relationship manager. Guidance for taking an intentional approach to family interactions.